There is a strong trend to computerization of medical records. This method of recording information about a patient offers many advantages but also some significant disadvantages. Forensic issues abound. See part 1 of this blog post. Failure to authenticate a medical record may permit alterations of data after the entry should have become permanent. Authentication finishes a record entry, making it permanent. For example, a nurse who fails to authenticate nursing notes until the end of an eight hour shift may make changes after an event has occurred. A software solution that deals with this issue may include automatically making an entry unalterable after a certain period of time, such as within a few minutes or a couple hours. Some software systems lack the capability of locking if the author of the entry does not sign an entry. If a record is never locked, clinicians may make changes up until the day the record is sent to auditors or litigators. If information needs to be added or comments made after an entry has been locked, a new entry should be written and clearly identified as an addendum, following the guidelines for late entries. Some electronic medical records have the capability of assembling and printing out all of the data related to specific aspects of the patient’s care. For example, all of the nursing entries referring to elimination, skin integrity, or patient education are collected and printed out in chronological form. When reading a record which is assembled in this manner, it becomes difficult for the reviewer to identify a picture of the patient’s overall condition at any one point in time. 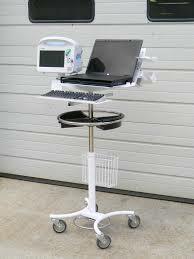 Most EMR software systems have the ability to ‘auto-populate’ data fields, as described earlier. In this situation a key data element, such as an allergy to penicillin, need only be entered into the record once and it will be automatically entered into every other area of the record which requires allergy information. When the wrong information is entered into one of these key fields, that error will be auto-populated throughout the record and may cause medical error. The reviewing attorney should be aware of this weakness in electronic records and its connection with adverse events. Obtaining a copy of an electronic medical record has proved to be a significant challenge. Unlike paper records, which are usually organized in a specific fashion, electronic records often make little sense when simply printed out. Frequently, a printed out record uses excessive amounts of paper to record a limited amount of information; and that information is not presented in a logical format. The requesting attorney may wish to assure the receipt of an understandable record by assuring that the facility uses a forensic record retrieval firm. All facilities which have converted to EMR need to have tested protocols which allow all practitioners to continue documenting smoothly during those times when the EMR system is ‘down’. When reviewing a copy of an electronic record, the attorney should note any unusual gaps in the record since those gaps may indicate a systems issue and the existence of (or lack of) manual records produced during those gaps. Some practitioners have discovered that they can “copy and paste” sections of electronic documentation. Because people who engage in this behavior are trying to save time, they may be less likely to take care to make sure the copied section is completely accurate in its new position. What seems like a time-saver to the caregiver can diminish the validity of the record, create miscommunication, and lead to medical error when the pasted note contains inaccurate information. The reviewing attorney should watch for verbatim sections of notes appearing in more than one place in the chart; if it is apparent that the practitioner copied and pasted this material the attorney can use this information to discredit the caregiver at deposition or testimony. Even if one provider copies and pastes his or her own text, entries may not be suitably updated with changes in the patient’s condition.